On November 27, Rocky (Yue Ke Quan) and his girlfriend (Sun Ling) took me to Xiuwen Xian. It is a small town in Xingfu Cun. It is a very beautiful place. 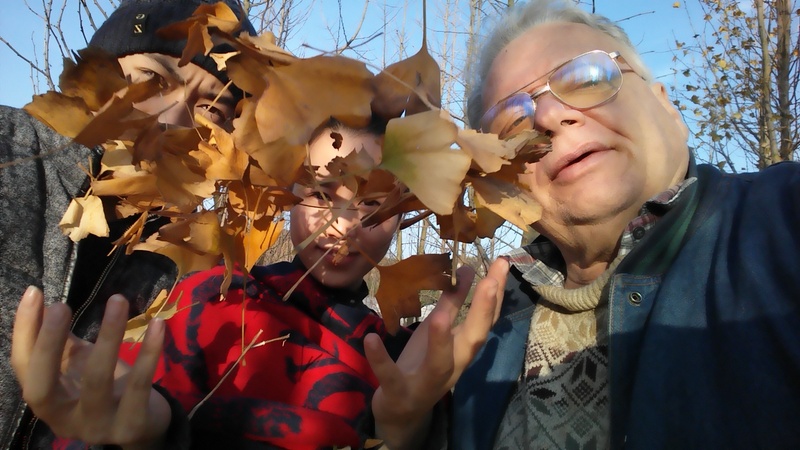 We just did a simple day trip, practiced English and Chinese together, played in the leaves, and came back. Good time. We had some fun with the Ginko leaves. Sometimes I visit Rocky at Chang Po Ling National Forest Park. He likes to run laps there totaling about 5 kilometers. Rocky stays in shape. He had two years in the army and he is now in the police. This episode is about Theo’s trip from Guiyang to Hong Kong and his first day in Hong Kong.